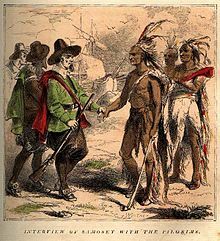 *Samoset was a sagamore, an elected chief. He learned English from English fishermen off the coast of Maine, and he knew many of the ship captains who visited the area. Well done... shoring up my memory, one day at a time.